Back in 2000, I attended a personal intensive spiritual retreat in Topanga Canyon. It was to be the first of many spiritual retreats, and I dove right in. Here, I document some of the workshops and retreats I have been to over the years. Enjoy! Mindfulness and meditation are proven methods for opening the inner door to creativity. Thousands of studies from institutions like Harvard, MIT and Stanford universities confirm that meditation practice: reduces anxiety, boosts immunity, improves mood, and develops emotional intelligence. I thought I knew a lot about meditation and how it can help me and others live a more centered life. But, this class put a whole new spin on my meditation practice. I'm learning tons of new things about how our thoughts and emotions impact our lives. And how we can gain more control over these things, so we are not a slave to them. I highly recommend it! Search for a class in your area. It's a commitment...8 weeks of class (once a week) and daily meditation practice. Plus, a workbook! 6-day silent retreat. Read my BLOG POST to learn more about my experience. ​Anyone can transform the way they think, feel, and act as their own individual self. - Everyone experiences hypnosis everyday, it's necessary to engage in life. ---Your sub-conscious mind holds all memories, past-decisions, behaviors, values, and habits. Access your sub-conscious mind and change the "programming from the past," so you will no longer be bogged down by habitual thoughts, emotions, and impulses you believe you "can't control." - There is a connection between God or Spirit and Energy. - Understanding Energy can help heal and empower through bridging your own energy with your mind and body. This is a hard one to describe, it's an experience is like none other. Powerful and heavily dependent on the other people in the workshop, we were all changed forever. We worked VERY hard for 5 days...this workshop is not for the faint of heart. It's a cross between psychodrama, group therapy, and improvisation. The intensity that Paula brought to the class as our guide enabled us to dig deep and TRANSFORM. What the Mystics Knew, 2016 - 8 week series, Center for Spiritual Living, San Jose, CA. This class was a deep dive into all things mystical. There was no premise of "this is the answer to all questions unknown" but rather an invitation to be open to explore the questions at a deeper level...to think about alternative theories and viewpoints about the universe, consciousness, and the meaning of life. 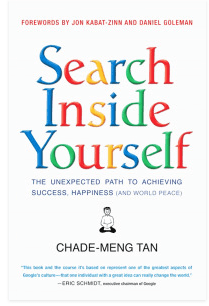 Based on the book, by Chade Meng Tan, this 3-day exploration into meditation and mindfulness was an experience that changed my life. What is mindfulness? What are the benefits? how does it work? What's the science behind it? There was lots of practice time for meditation, reflection, and sharing. I realized that to be lived fully, life happens here, right now. Not yesterday, not tomorrow, but now. My biggest takeaway was that although our MIND can travel into the future and into the past, our BODIES are always HERE in the moment. So that's how I get myself back to the present when I find my mind wandering...I get back into my body through my senses. I feel my feet. Hear to the sounds around me. Feel the wind on my skin. Smell a flower, look at the sky. While visiting my childhood friend, Maureen , in NJ last summer. We called Jen, our third "partner in crime" who I hadn't seen in over 10 years, and the three of us reminisced about our childhood. Jen shared that she had been running a spiritual center for years, and was a reike masker. I signed up for the Soul Connection session, and was blown away by the effect and powerful healing that took place. Because Jen lived next door to me when we were kids, this brought an extra element of perpective that no one else could have provided. I traveled back to my 12-year-old self and began to heal some of the trauma that I experienced at that time. ​Jen and Iris are healing practitioners who have combined resources to reveal and release restrictive energy in the mind/body complex. In this “two to one” session, Reiki and Intuitive Readings are the vehicles for balance. Jen is a Reiki Master and clairvoyant, while Iris peered into my inner world to give voice to what is arising as the session progresses. Sounds strange...Truth Salon? What the heck? These sessions are a chance to practice how we are feeling RIGHT then, in the moment, using non-violent communication techniques to share our feelings and thoughts. Based on the work of Susan Campbell and her Getting Real book series, these sessions enable me to dig deep and say what I might not normally share in a safe and loving setting. Sofia is the most amazing facilitator...she helps us to embrace our entire selves...the joy, the sadness, the anger, the fear, the grief. Nothing is pushed away. Participants determined the content, and lead the workshops! 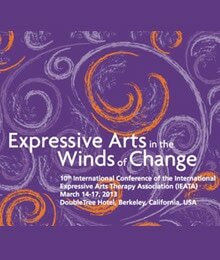 Based on the work of Charlotte Selver...this workshop taught me to truly be in the moment...not only in my head, but in my body. It was like learning how to live life in slow motion! I've also taken many yoga classes, experienced healing with a Shamen, tried a floatation tank, and experienced many hours of silent retreat underwater while scuba diving!